University of Guyana student, Sheneza Diane Jaffarally, who is accused of making several bomb threats to the tertiary institution, was charged and remanded for the offence. Jaffarally, 25, of Cummings Lodge, East Coast Demerara, denied the charge, which stated that on February 5, 2019, at Cummings Lodge, East Coast Demerara, she sent, by means of a public telecommunication system, for the purpose of causing needless anxiety to the staff and students of the University of Guyana, a message which she knows to be false. 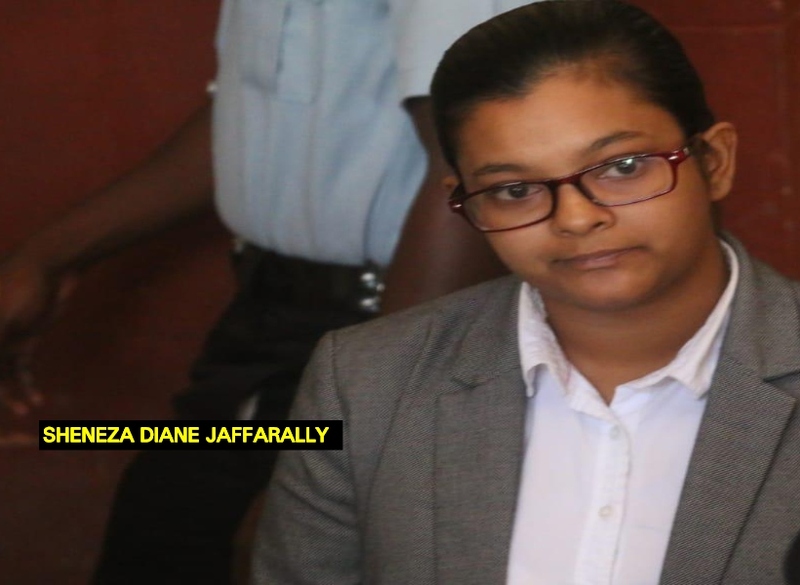 She appeared before Chief Magistrate Ann McLennan in the Georgetown Magistrates’ Court, accompanied by her lawyer, Latchmie Rahamat. Rahamat, in an unsuccessful bail application for her client, told the court that Jaffarally was kept in custody beyond the 72-hours period. She added that Jaffarally denied the allegation put to her by the police, and fully cooperated with the investigation. However, Police Prosecutor Gordon Mansfield made serious objections to bail being granted to the woman on the grounds of the serious nature of the allegation. The Prosecutor’s allegation against the woman is a serious one, intended to spread public terror. He added that another investigation of a similar nature is currently ongoing. The Prosecutor told the court that he is of the opinion that, if bail is granted to the defendant, there is a likelihood that she would tamper with the witnesses and the investigation. The Magistrate, after listening to both sides, remanded the woman on the grounds of public safety. She was instructed to make her next court appearance on February 18. According to information, the woman, on the day in question, made several calls to the tertiary institution, making bomb threats and causing classes to be called off, last week. The threat also resulted in the institution ramping up security. The threat followed others made against the School of the Nations, Queens College and The Bishops’ High School and Maes.